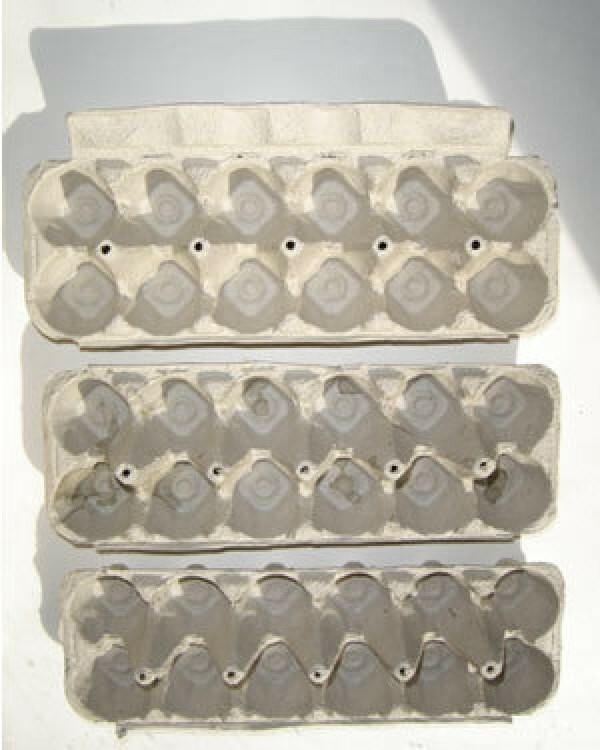 Egg cartons are great for repurposing into many organizing and craft uses. This is a guide about egg carton bulletin board. Recycle egg cartons and make them into an interesting bulletin board. Optional: paint, glitter, and other decorative items. 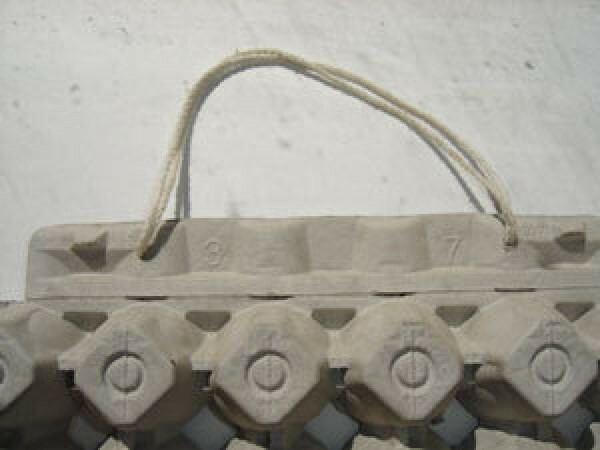 Cut the lids off the egg cartons leaving the bumpy part of the container. On one leave the flap that you use to close the egg carton with but with the other two cut that piece off. Using masking tape, secure each carton to the other, as shown in the picture. Make sure to leave the egg carton with the flap on the outside. Punch two holes in the flap approximately 4" apart. Tie a knot on one end of your ribbon, yarn, or string big enough so it will not be pulled through the hole. Pull string though hole leaving the knot on the backside. Pull the end of the string through the second hole and tie a knot. If you want to make your bulletin board fancy you can paint it, add glitter to it, or decorate it any other way you desire. 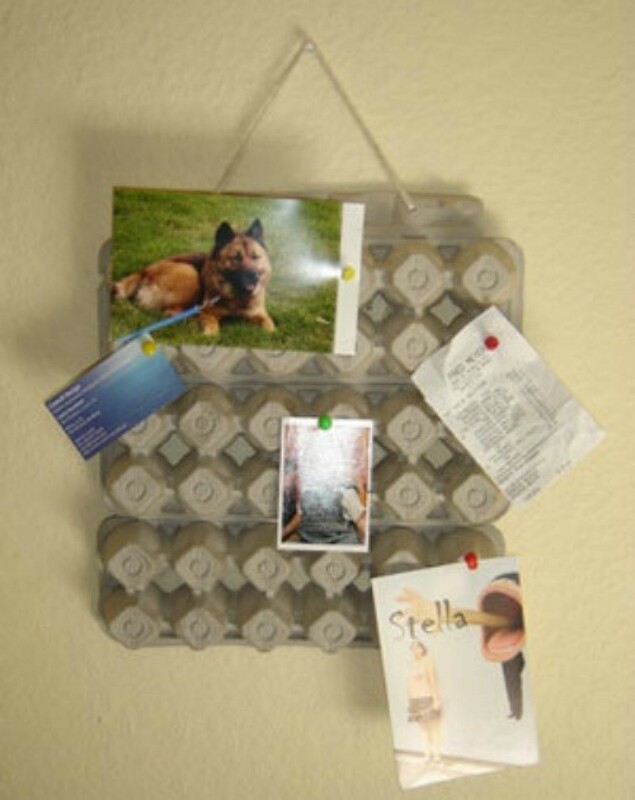 Find some tacks and pictures and pin them to your new recycled bulletin board!